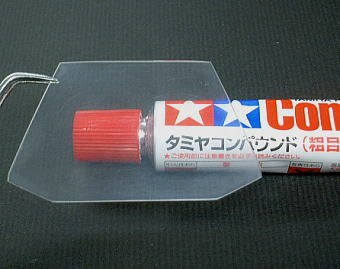 The polishing of a clear plastic parts is one of the techniques to make a beautiful model. Using this DIY will be instrumental in cleaning old and dated pieces or help in deleting simple or serious flaws. If the existing piece is bad, flawed or scratched it can repaired to almost original form. Good luck! 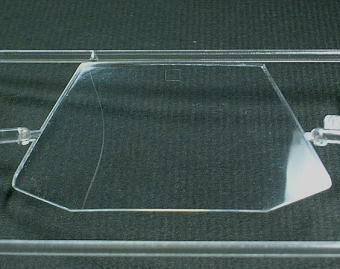 Clear plastic parts are extremely fragile and can easily damage when compared to similar colored parts. When using these techniques take extra care not to apply too much pressure, if not you could permanently damage your piece! 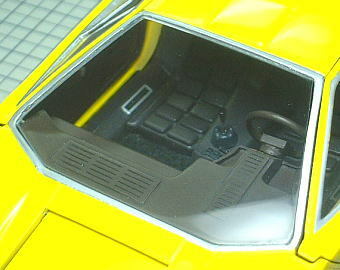 This is the windshield part of Fujimi 1/24 Lamborghini Countach. There is a scratch on the left side almost running the entire height of the piece. 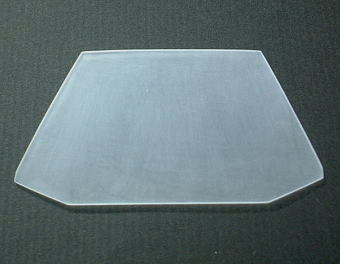 Polished the surface with #1200-1500 sandpaper. Next, polished with #2000 sandpaper. 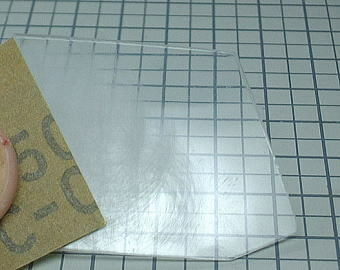 It will transform the plastic to a frosted glass look. Notice the scratch mark has been removed. 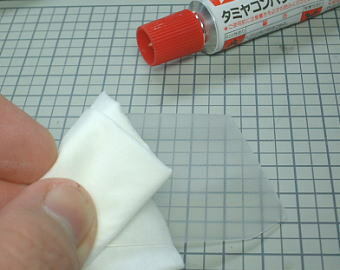 Polished the surface with a soft cloth put a compound for plastic model. Facial tissue can be used as a substitute for it. 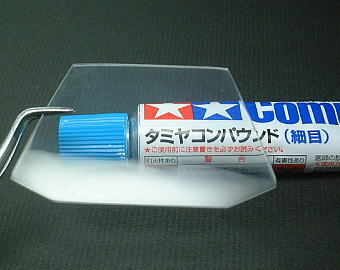 I used Tamiya Coarse Polishing Compound here. Notice the piece now is becoming more clearer. 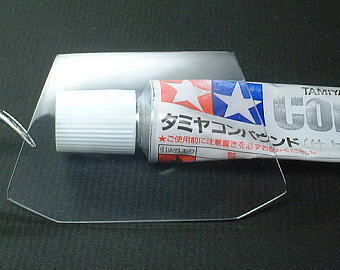 Next, polished the surface with the Tamiya Fine Polishing Compound it will restore back to clear. Finally polish the surface with the Tamiya Finish Polishing Compound. It will become as good as new. Your done! The windshield now is a good as new. Go tackle some more projects.